This is Canada's second national lottery (with Lotto649 being the first). This game replaced the Super7 game which ran until September 18th, 2009. The week later, on September 25, 2009, was the first LOTTO MAX draw. 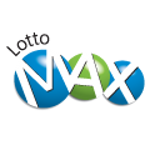 LOTTO MAX draws are conducted by Interprovincial Lottery Corporation (ILC) on behalf of the five lottery regions in Canada. About one hour after game shutdown, the draws commence. LOTTO MAX main draws are made using ball-draw machines. The 49 balls are placed in numerical order in the ball rack of the draw machine. The balls are released into a drum, which is spun for a minimum of 10 seconds before a button is pressed to release the first ball. The MAX part of the game comes from the fact that the maximum jackpot is $50 million, with additional prizes of $1 million being created. Changes were made recently which increased the MAX to $60 Million. Eight balls (seven main numbers and one Bonus number) are drawn for LOTTO MAX. One by one, each ball drops into the trap at the bottom of the drum, and an electric eye prompts its release into a chute. The additional draws for MAXMILLIONS on LOTTO MAX take place using a computerized draws system housed at the ILC offices. Since the main draw is performed using a physical ball-draw machine, these are the only results stored in our databases for LOTTO MAX draws.